Aleksandar Susnjar of Australia in action during the AFC U23 Championship. SOCCEROOS bolter Aleksandar Susnjar may only be 22, but in terms of life experience he's a veteran. 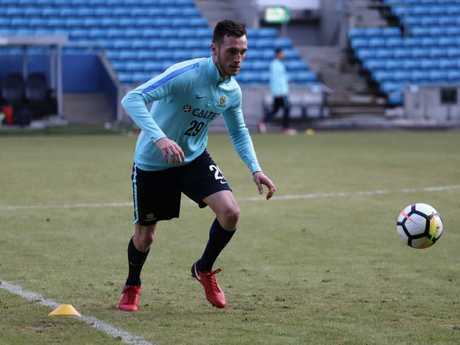 The rugged Perth-born defender was a surprise call-up to Bert van Marwijk's first squad for the friendlies against Norway and Colombia after impressing Olyroos assistant coach Ante Milicic in the recent Asian Cup under-23 championships. Susnjar, who plys his trade in the Czech Republic with FK Mlada Boleslav, left his family behind to move to Serbia as a 13-year-old to chase his dream. He continued his Australian education via internet schooling, while also trying to learn a new language and play football in a country he'd never even visited. "I came through in Perth as a junior until I was about 13, and my dad said 'would you like to go to Serbia to try to pursue a career over there? ',"Susnjar said. "I thought I'd give it a try while I was still young and if it didn't work out I could always come back to Australia. Distance education was hard because of the time difference. "If I had a question I couldn't ask anyone so I had to email someone and wait for a response the next day. But it's all been worth the sacrifices." Susnjar started off in Serbia playing for a lower-league team near where his extended family lived before moving to Belgrade to join FK Rad's youth team. After being called up for the Serbia under-17 side Sunsjar joined Lithuanian team FK Jonava just before his 18th birthday. He was on the move again in 2016 to Romanian outfit Botosani, before taking up residence in the Czech Republic first with FK Teplice ahead of his move to his current side. "I've lived on my own since I was 17," he said. 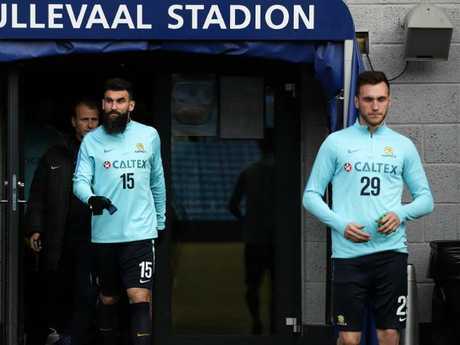 Mile Jedinak and Aleksandar Susnjar walk out for Socceroos training at Ullevaal Stadium. "In Belgrade, I had an apartment next to the stadium, we had lunch after training but I had to do my own washing, housework, homework and all that. "I didn't know much Serbian when I got there. I had some basics, but it took me a good year and a half to learn it properly. "At home in my house I spoke English to my parents. I went to school and spoke English. "I spoke a bit of Serbian with my grandparents, but that wasn't enough to really learn it." 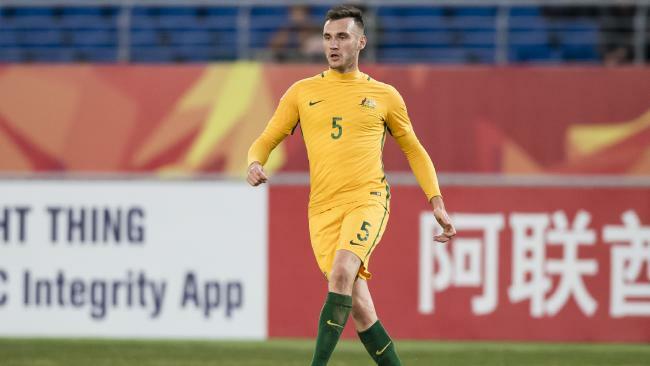 Susnjar has subsequently picked up the Lithuanian and Czech languages and can get by in Romanian, and said joining up with the Socceroos squad, where he knows no-one, is far from daunting. "I know of them, I have watched the games, I have heard of them, but in person I've not met one of them," he said. 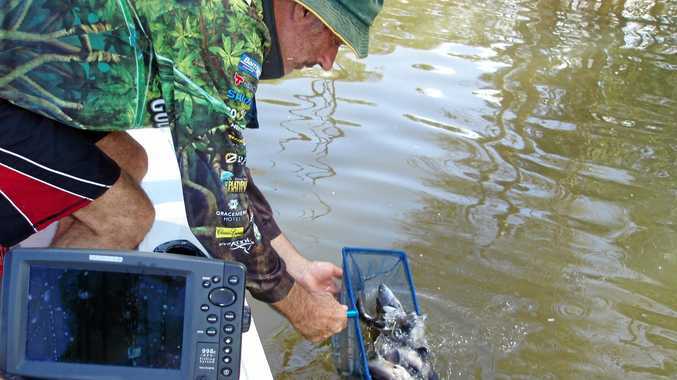 "It sounds nerve-wracking but the guys are very welcoming. "Everyone is coming here with the same mentality, a new coach, we all want to prove ourselves and go to the World Cup." Aleksandar Susnjar in his first Socceroos camp.